Wow, that one is aptly titled! Strong edges there. Un lavoro molto bello e colorato, mi piace. love the dark amber version! Tu fotografía se eleva como coloridos cráteres arañando el cielo... precioso trabajo! One thing for sure, the mouth can be full of dangers. like flott som alle andre bildene dine ! El titulo es una verdad como un santo. La foto es una preciosidad. The blue green is an excellent touch beautiful. That is very beautiful like usual! Have a great week. 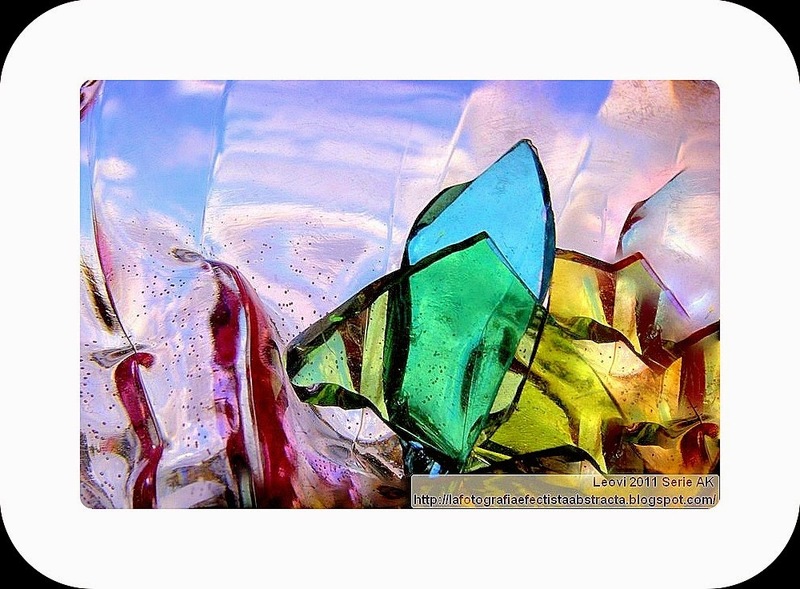 The sky and beautiful colors make an interesting composition, and the sharp glass shards do look dangerous! So pretty, like a garden of flowers. Happy Blue Monday! These remind me of butterlfies! I love that blue/green combination and the gold too. But the clear one is marvelous also! You can make us feel sparkly each time we visit. See you soon. Have a great week! Beautiful abstracts. the first and last are my favorites.. Have a happy day! Me gusta esa recreación del color, que junto a los vidrios rotos forman una composición muy agradable. very cool, i like the first one. Delicious dangers, I like to think. Your work in gold is most delightful. love its title! very intriguing...just like the photo..